Dr. Heather Dubitsky-Timchak was literally born to be a dentist, following in the footsteps of her father, Dr. Paul Dubitsky who has been practicing in Hillsborough since 1974. Dr. Heather and Dr. Paul have been practicing together for over ten years. In 2011, Dr. Heather purchased the practice and assumed the new name, Dubitsky Family Dental. From one generation to the next, they continue to build upon their well established reputation for excellence in dentistry. We believe in going straight to the source of the problem and providing comprehensive answers to dental health issues rather than simply covering them with a quick or superficial fix. Through extensive continuing education, including studies at the prestigious Dawson Academy, we’ve crafted a level of care that you won’t find at every dental office. At Dubitsky Family Dental, family comes first, and we get to know all of our patients one-on-one. We focus a great deal on preventive dentistry; stopping problems before they even start is the best way to care for your oral health. With that in mind, we offer comprehensive dental checkups and cleanings where we use the latest in diagnostic dental technology to thoroughly assess your health in order to help you make informed decisions about your dental care. Dr. Heather is ethically committed to a philosophy reinforced through her studies, the WIDIOM Rule (Would I Do It On Me). Every case is reviewed extensively and every patient is treated as a member of our family. This philosophy is fully embraced by the entire team at Dubitsky Family Dental. You want excellent dental healthcare for your loved ones, and luckily, you can find it at Dubitsky Family Dental. We want to make sure you can receive the majority of the treatment you need right here at our office, which is why we offer a variety of services from children’s dentistry to full-mouth reconstruction. We use cutting edge dental laser technology to make your care more comfortable and precise, encouraging greater success and improving efficiency. By offering a variety of hours, including some evenings and one Saturday a month, Dubitsky Family Dental shows our commitment to helping our entire community by making dental care convenient for everyone. While we believe strongly in providing great preventive dental care, we know that our menu of services wouldn’t be complete without a full list of restorative and cosmetic dentistry options. With these types of treatments, we can repair smiles that have been damaged and bring dull or less-than-perfect smiles back to life. 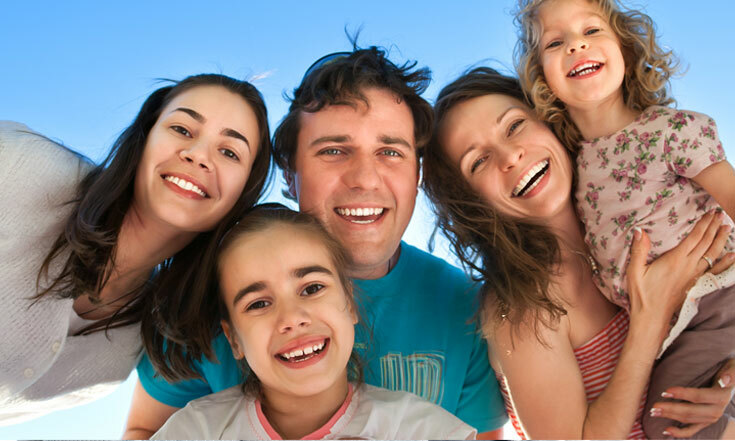 Dubitsky Family Dental provides complete dental care in Hillsborough, NJ 08844, serving families from Hillsborough, and many surrounding New Jersey communities. Contact us to learn more about our office and make an appointment.